In the previous decade, Gary showed great vision and business acumen in having a four-storey building put up along the highway right in front of De La Salle. The lower storeys were to be the conceptually rethought and bold Lomi King, which was to be airconditioned. 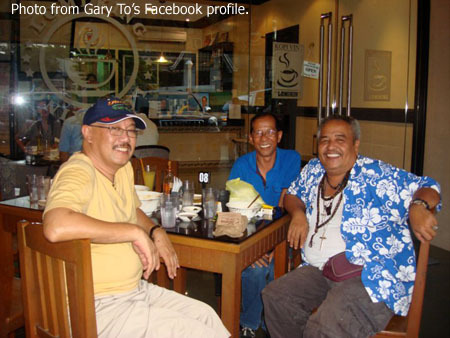 Gary himself was aware of the risks; and primarily because the quintessential model of the lomi joint was very Marxian in nature. In other words, the lomi to a great extent owed its fame and success to the ubiquity of rundown little joints that were often makeshift in nature, with long tables and plastic monobloc chairs. The price – and the fact that as a meal, it is rather heavy – has always been its greatest attraction. Despite this, however, the lomi haus has always been the great equalizer where tricycle and jeepney drivers sat elbow-to-elbow with owners of SUV’s. Gary’s new Lomi King, therefore, was to be conceptually different from the average lomi joint. A bowl would, as a matter of economics, be also a tad more expensive than elsewhere. So thus, there was a decided risk to such a bold new model. That the restaurant would eventually turn out to be a smash hit, however, was due in no small way to Gary’s and his wife Fatima’s vision and feel for the market. Indeed, it is not uncommon to have all sorts of vehicles parked in front of the restaurant during lunchtime. Students, of course, simply walk the short distance from the school’s front gate. While lomi and its dry variants – the chami and guisado – continue to be the sentimental bestsellers, Gary has rice toppings, silogs, sandwiches and desserts on offer as well for those who are not so fond of noodles. There are also various coffee concoctions to choose from for those who wish to hold their business conferences at the restaurant. At seeing the gulay, of course; what sacrilege! 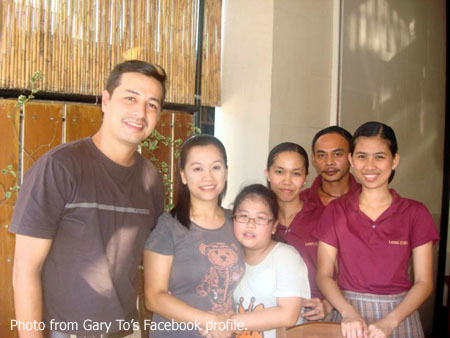 Outside of his lomi business, Gary says that he likes playing basketball and watching the occasional movie. 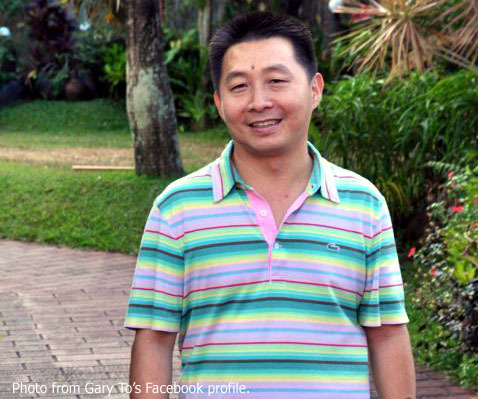 Had his venture into the lomi business not become successful, Gary says that in most probability he would have gone into Med Tech practice or into the trading business. One day in the not too distant future, Gary would also like to go into farming. His temperament is most definitely right for this; not to mention the fact that farming is a natural adjunct of the food business. The vegetables, in most likelihood, will not go into the lomi. So you can all breathe sighs of relief! Asked what his secret for success has been, Gary says modestly, “No secrets whatsoever. Just plain luck!” Probably not. He had the vision to see the changing market and the courage to take the risks. I say that that is not luck at all. More like savvy, lots of it! As for personal philosophies, Gary goes cliché-ic in citing “Do not do unto others what you do not want others to do to you.” This will probably not score in the originality category; but it also sums up not only Gary’s personality. After all, he is not only known around the community for being sociable but also for being fair. As a business philosophy, being fair is not bad at all! Gary concludes by saying, “Always love and obey your parents!” Indeed! It is from his parents that he learned the rudiments of a business from which he has made a name for himself; and from them that he inherited not only his business savvy but his sense of fairness in dealing with customers, his suppliers and his restaurant’s employees. While Gary is too modest to say that he is a ‘made’ man, he knows that he is working hard to get there so that – one day – he will no longer be the heir apparent but, instead, what else but the Lomi King!